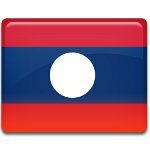 National Day in Laos is celebrated on December 2. This public holiday commemorates the establishment of the Lao People's Democratic Republic in 1975. The Kingdom of Laos was officially proclaimed in 1947 during the First Indochina War. It gained full independence as a constitutional monarchy in 1953. The establishment of the country's independence was immediately followed by a civil war between the Royal Lao Government and the Pathet Lao, a communist political movement. Laotian Civil War lasted for over two decades. The actual fighting also involved the North Vietnamese, South Vietnamese, United States, and Thai forces. The Paris Peace Accords of 1973 temporarily stopped the fighting. However, in 1975 the Pathet Lao broke the ceasefire. On December 2, 1975, King Savang Vatthana was forced to abdicate, and the Lao People's Democratic Republic was proclaimed. The anniversary of this event is celebrated as the main national holiday in Laos. National Day of Laos is widely celebrated throughout the country. It is marked with official speeches, solemn ceremonies, parades, and other festive events and activities. Red flags with the hammer and sickle can be seen almost everywhere on this day.